Uglyworld #893 - A Happy Wedgie (347-365), originally uploaded by www.bazpics.com. 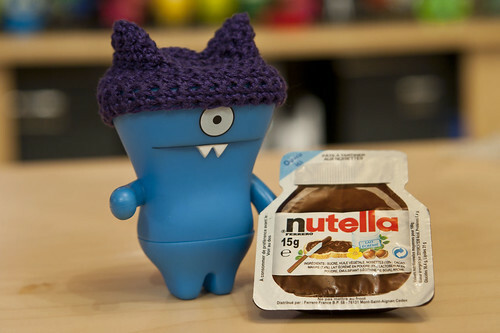 Wedgehead has been awfully quiet lately, but today his mood picked up several notches after he discovered a pack of Nutella in the kitchen that he had forgotten all about. "Mmmmm, mmmm's, I is going to haves some tasty nom nom's now! ", he told Cinko who had been wondering what had perked the little guy up.